Paradise Landscaping installs low voltage lighting systems. 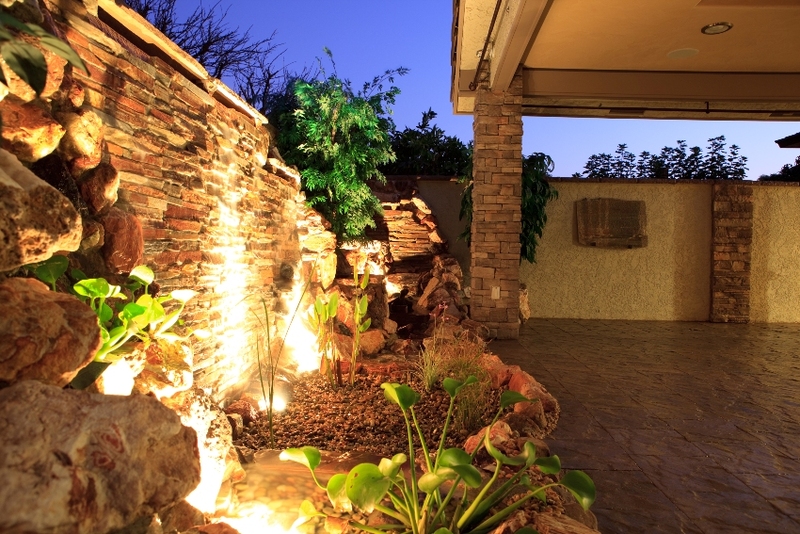 The purpose of outdoor lighting is to enjoy the beauty of our landscape and waterscape features after sunset. Whether it is cooking up something on the new BBQ, entertaining friends, or leisurely watching colorful fish in the garden pond, low voltage lighting is a powerful addition to any project.